The 1929 Grand Banks underwater avalanche, which was triggered by an earthquake off the coast of Newfoundland, is the first and only underwater avalanche of this size to have been directly measured. Despite being extremely common, little is known about underwater avalanches as they are exceptionally difficult to measure; inaccessible and destructive. However, they pose a major geohazard to seafloor infrastructure, such as telecommunication cables that carry more than 95% of global internet traffic, and oil and gas pipelines. Dr Chris Stevenson, a lecturer in Quantitative Sedimentology at the University's School of Earth Sciences, was part of the team that revisited the area in order to reconstruct the avalanche. The team mapped the bathymetry of the seafloor where the 1929 avalanche passed through and collected core samples of deposits that it left behind. They then combined this forensic evidence with the historic measurements of flow speed from the old cable breaks to reconstruct the properties of the avalanche. Dr Stevenson, who was chief sedimentologist on the research cruise, said: "It is awe inspiring when you piece together how big and powerful this avalanche was: 230 m thick, which is about the height of Canary Wharf in London, moving at 40 mph, and highly concentrated with fist-sized boulders, gravel, sand and mud. It would not have been a good place to be at the time". "Underwater avalanches are a bit of a mystery to scientists because they are really difficult to measure directly. What tends to happen is that avalanches destroy the measuring equipment you place in their path. "The Grand Banks avalanche was the first, and remains the only, giant underwater avalanche that has been directly measured. At the time, it transformed how scientists viewed the seafloor and it's taken almost 90 years for us to revisit the area and confidently piece together its fundamental properties." 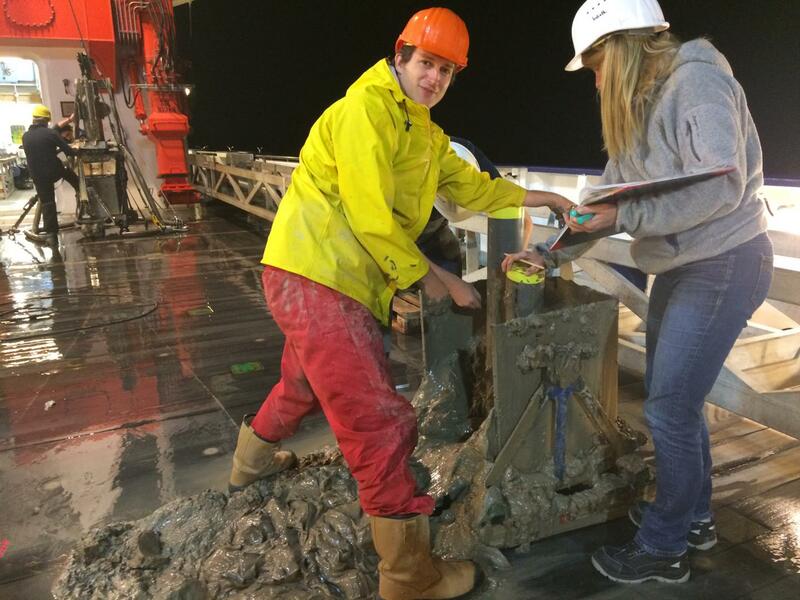 "This research cruise has enabled us to reconstruct the fundamental properties of this underwater avalanche which has implications for seafloor infrastructure. It can help provide engineers and modellers with the information they need to design expensive seafloor installations to withstand similar flows around the world, or build them out of harm's way. "It also provides the first real-world example of a giant avalanche from which scientists can use to validate their theories and models." Triggered by a 7.2 magnitude earthquake, the Grand Banks underwater avalanche was huge; generating a tsunami that killed 28 people and burying an area the size of the UK in half a metre of sand and mud. It was highly destructive and broke seafloor telecommunications cables along its path. The exact location and timings of the cable breaks were recorded, meaning that the speed of the avalanche could be calculated.